How do I only allow for scheduled call, and not instant calls? Some businesses might bave short-handed and your phone reps are never available to take calls. You just want people to be able to schedule a call. Is there a way to just offer to schedule a call? Yes there is! 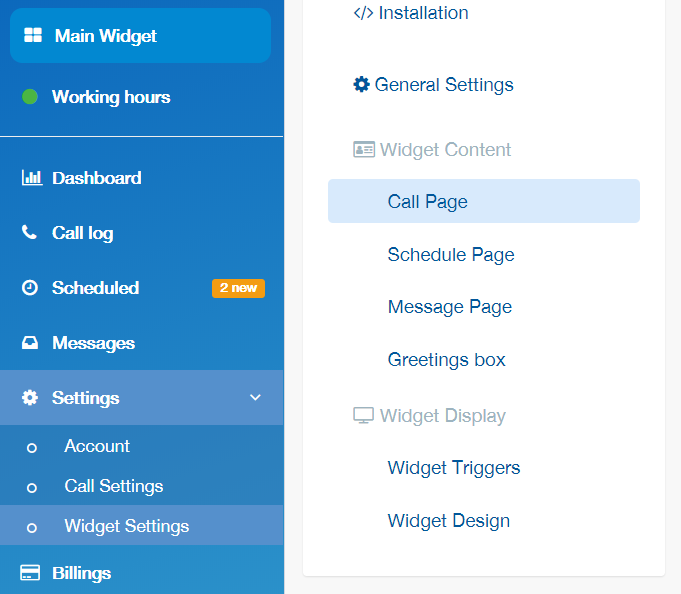 Switching off "Call Me Now"
Navigate to "Widget Settings" > "Call Page"
You'll see a "Show call now" page - Switch it off.